Insulation contractors at 31-W Insulation are highly knowledgeable professionals who are ready to help you with all of your insulation needs. 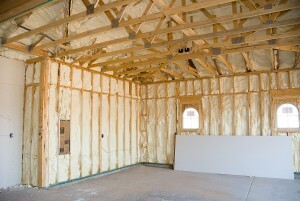 Since 1972, 31-W Insulation has been the home improvement company people turn to in Clarksville, Tennessee, and throughout the southeastern United States. With so many years of experience behind us, we are fully prepared to provide you with the expertise and services you need to start enjoying a properly insulated home. After determining which product and brand is right for you, our insulation contractors will schedule a time to complete the installation. Typically, we can complete the installation in less than a day, allowing you to start enjoying the benefits of an insulated home, including better air quality, less noise from outside, and potential energy savings as your HVAC system heats and cools the home more efficiently. If you’d like to learn more about how our insulation contractors can improve your Clarksville, TN, home, contact 31-W Insulation today.